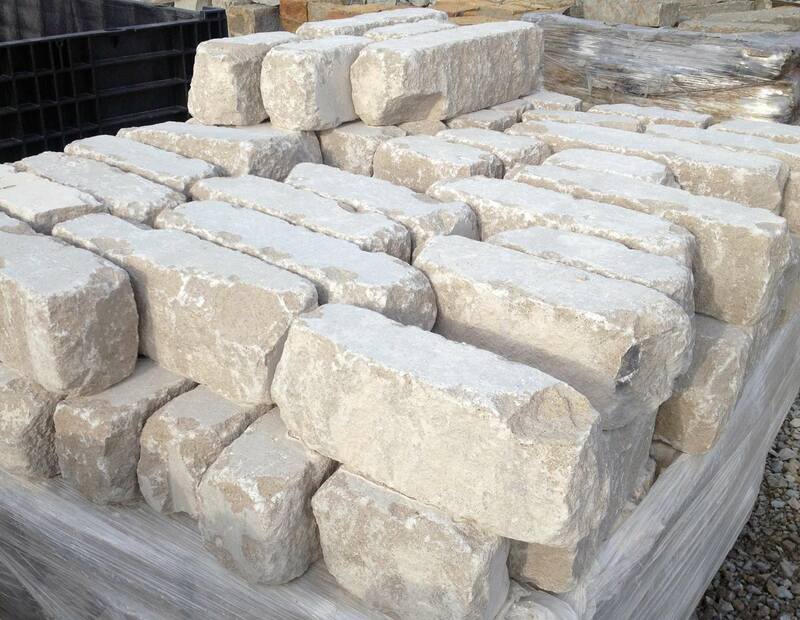 Green Stone is your central Indiana source for natural stone and landscape products including Natural Stone Edging. Soft earth-toned Sandstone with colors of tan, buff and rust. Snapped front, back and sides with natural beds. Approximately 4″ Depths, 4” Heights and 8-24” Lengths. Coverage averages 100 lf/ton. Earth toned sandstone with a vast array of colors ranging from rust to dark brown and tan with variegated copper swirls. Snapped front, back and sides with natural beds. 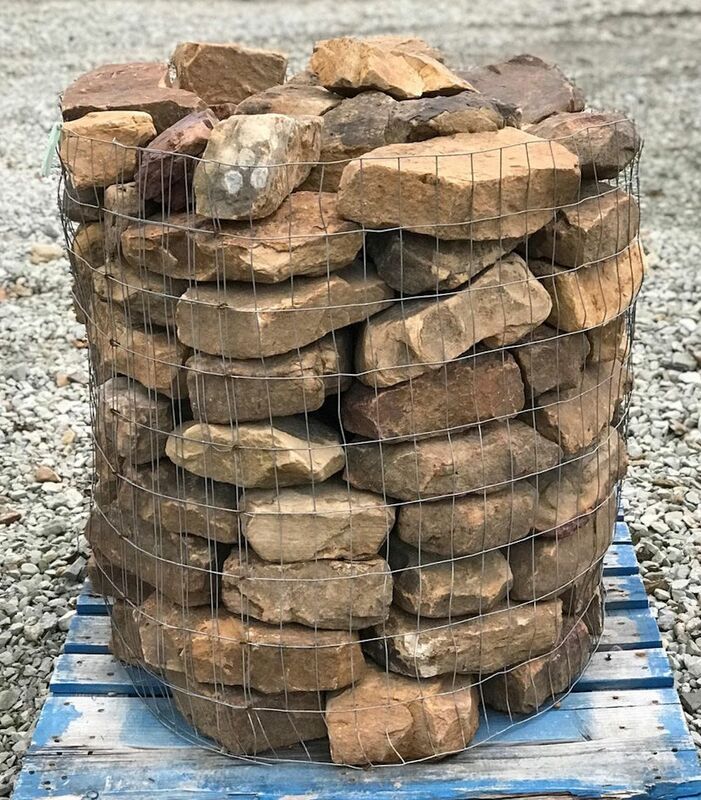 Approximately 4″ Depths, 4” Heights and 8-24” Lengths. Coverage averages 100 lf/ton. 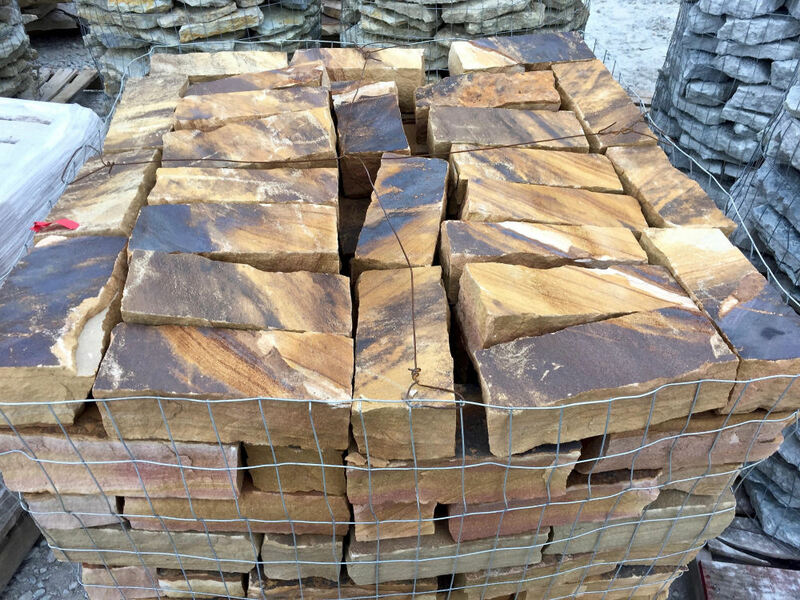 Flat and smooth Sandstone with rounded edges. Colors range from dark browns, black, tans, and subtle hues of red. Approximately 4-6″ Depths, 4-5” Heights and 8-16” Lengths. Coverage averages 100 lf/ton. Tumbled pieces of full color limestone with cream, gray and buff colors. Great for landscape bed edging. 5″ heights, 4″ depths and 8-24” lengths. Coverage averages 100 lf/ton. 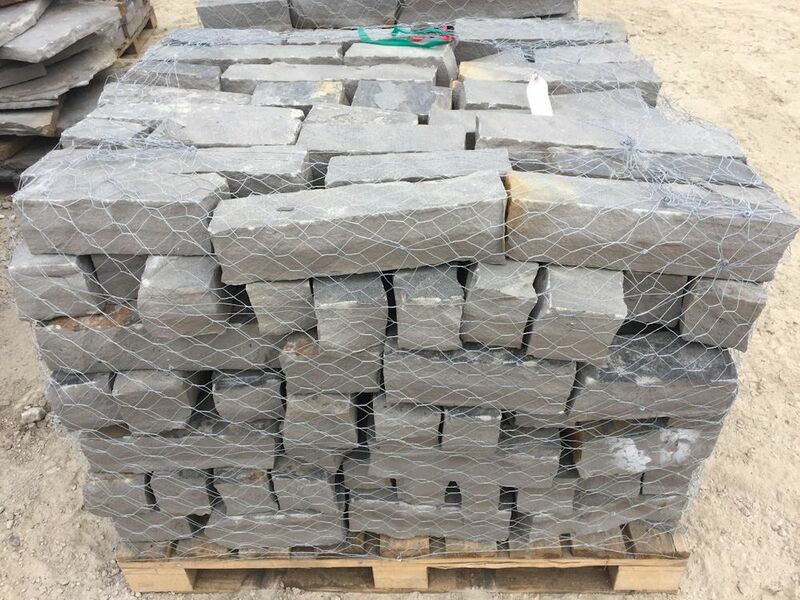 A beautiful gray to dark blue Sandstone that will give a earthy feeling to your landscape. Snapped front, back and sides with natural beds. 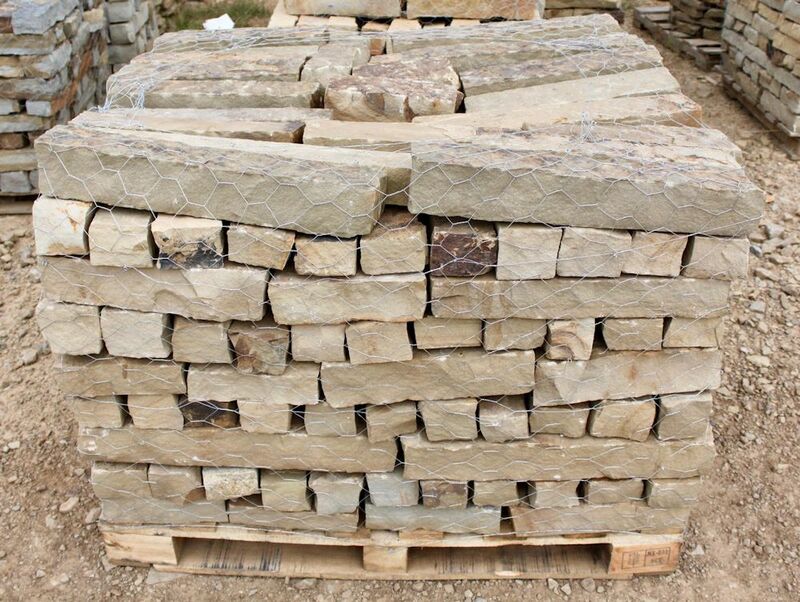 Approximately 4″ depths, 4” eights and 8-24” lengths. Coverage averages 100 lf/ton.